If these are not quite right for your project, please feel free to get in touch we may be able to help. 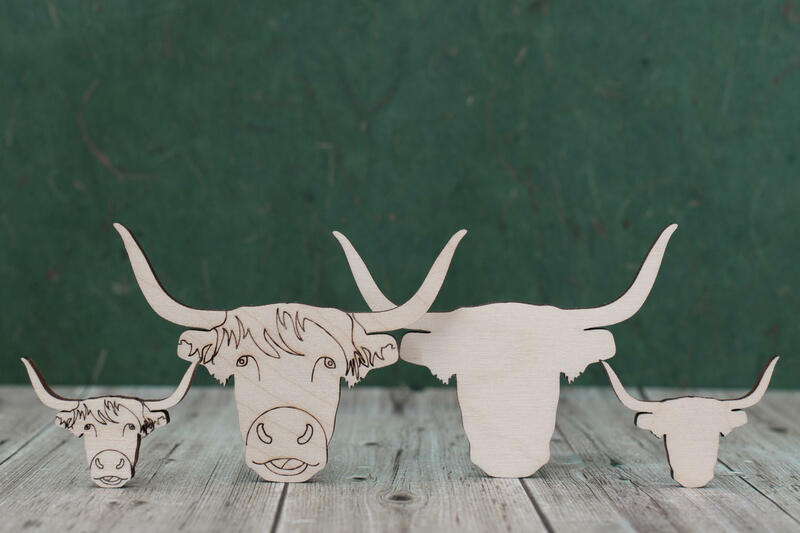 Wooden highland cow head shapes, Laser cut from quality 4mm birch ply wood here in the UK using our in-house laser cutters. 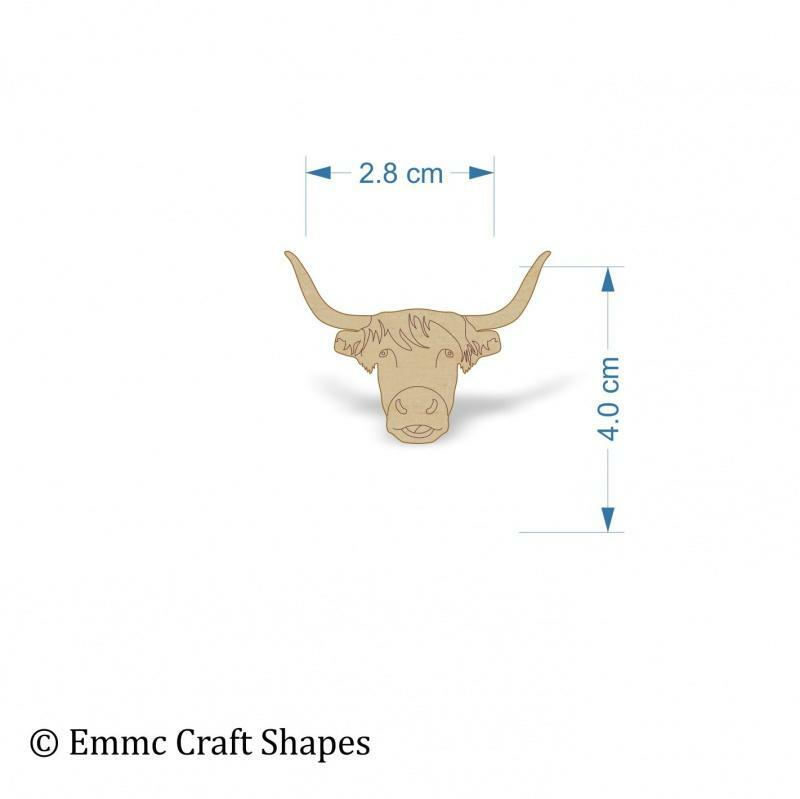 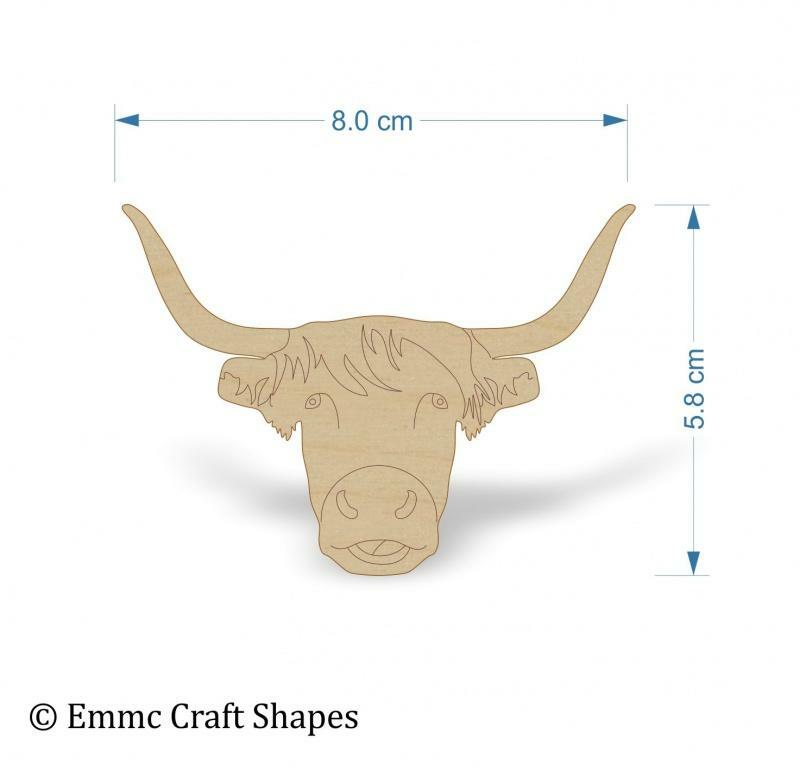 These wooden Scottish cow craft blanks are ready for you to decorate as you wish, we have lightly sanded them both sides ready for your favourite finish. 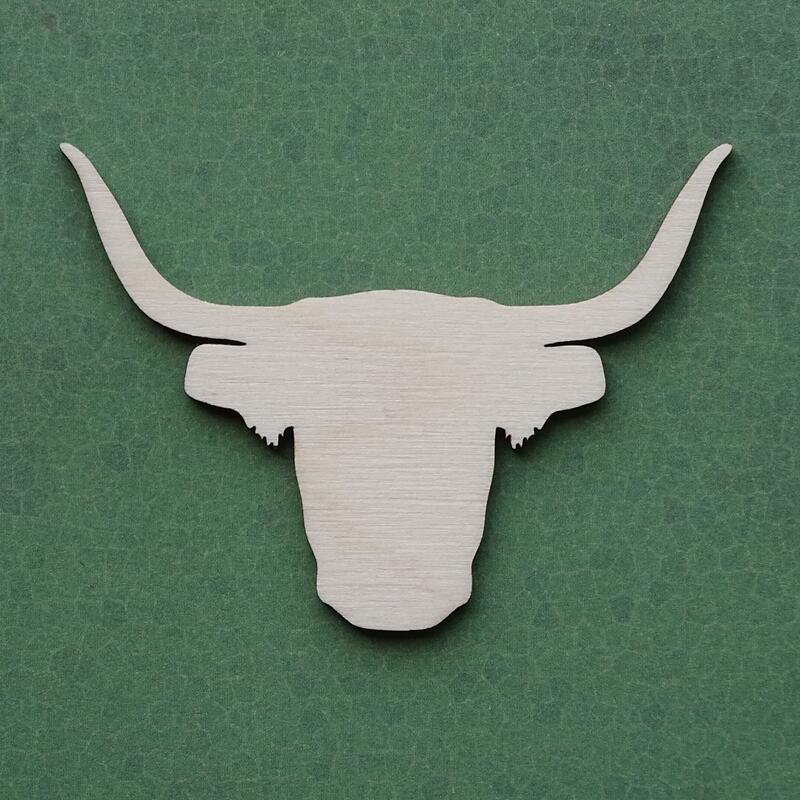 Birch plywood is a great wood to use for craft shapes, it has a lovely light colour which can be left natural but is also easy to paint over, stain, embellish or decoupage, a popular wood choice for pyrography. 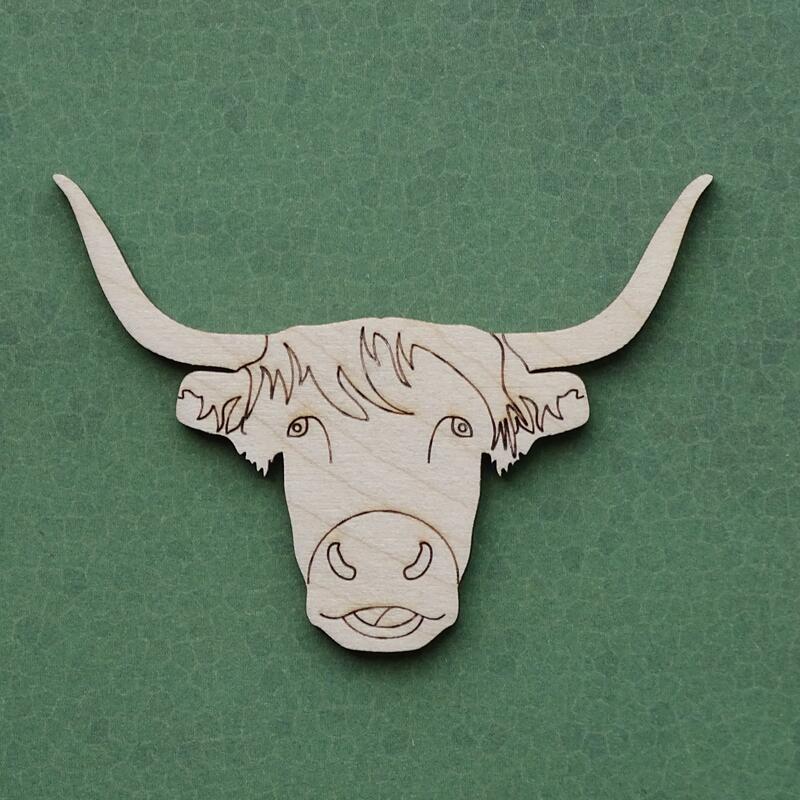 As it is a hard wood it will last for many years too.